In February 2015, Appanoose County was one of twelve counties chosen to participate in the Iowa Partnership for Success (IPFS) project. A program started by the Iowa Department of Public Health through the Substance Abuse and Mental Health Services Administration (SAMSHA) of the U.S. Department of Health and Human Services. Chuck Russell, Sieda Community Action’s Appanoose County IPFS Coordinator has already started working with the Appanoose County Collaboration Council (ACCC). Firstly, the ACCC encompasses a positive representation of culturally appropriate county stakeholders. 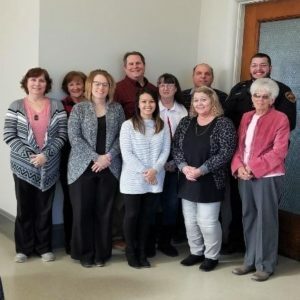 This diverse group of invested community members strives to reduce opportunities for underage drinking to occur in Appanoose County. Therefore, implementing environmental and individual-level interventions which seek to change knowledge, expectancies, cultural norms, intentions, motivation, and skills. In other words, help Appanoose County youth better prepare to resist the pro-drinking influences and opportunities that surround them. Sieda’s Behavior Health and Treatment Services (BHTS) Prevention Unit staff oversee and guides the ACCC. Most importantly, together they ensure that the individual and environmental strategies selected are carried out to the degree to which they were intended. In conclusion, Sieda BHTS Prevention IPFS Coordinator, Chuck, ensures that program guidelines for each strategy are implemented with fidelity, cultural competence, and sustainability. Any adaptations proposed to meet local circumstances on selected underage drinking prevention strategies by the ACCC are subject for approval by the Iowa Department of Public Health and the Iowa Partnership for Success Project Director. During the last 30 days, did you have 5 or more drinks of alcohol (glasses, bottles or cans of beer, glasses of wine, liquor, mixed drinks) in a row, that is within a couple of hours?